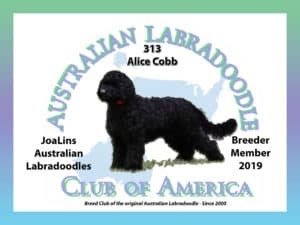 JoaLins Australian Labradoodles will provide the following Health Guarantee to everyone who purchases a JoaLins Labradoodle directly from us. JoaLins guarantees that, at the time of delivery, the puppy purchased from JoaLins is in good health and, to the best of JoaLins’ knowledge, free from all genetic defects. JoaLins has taken every reasonable precaution to ensure the physical soundness and temperament of the puppy. To the best of JoaLins' knowledge, the puppy’s sire and dam are free of hereditary defects as well. JoaLins assumes no responsibility for any health-related issues or loss of life due to reactions caused by vaccinations, travel or flea and tick applications administered either orally or on the skin surface after leaving JoaLins. Upon receipt of the puppy, Buyer has 48 hours to take the dog to a licensed Doctor of Veterinary Medicine of Buyer’s choice to examine the puppy and determine the puppy’s physical condition. If satisfied that the puppy is in good health as documented by the Veterinarian’s report, Buyer will retain possession of the puppy and hold JoaLins harmless and not liable for any further medical conditions of the puppy. If the puppy is found to be in a general state of very poor health or is found to be seriously ill by the licensed Doctor of Veterinary Medicine, Buyer shall immediately provide JoaLins with a copy of this veterinarian report on the veterinarian’s letterhead that has been signed by the veterinarian and notarized. The Buyer may then return the puppy to the JoaLins within three days of the veterinarian examination at Buyer’s expense for a full refund. All veterinarian and transportation expenses are the Buyer’s responsibility. This guarantee will be terminated immediately if the puppy is not examined by a licensed Doctor of Veterinary Medicine within the allotted 48 hours. 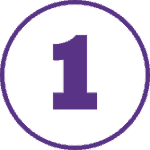 JoaLins reserves the right to obtain a second opinion at JoaLins' expense prior to issuing a full refund. A warranty against all serious life altering genetic diseases is provided by JoaLins for two years after the date of birth of the puppy sold to the original Buyer. Should a confirmed genetic disease be discovered during this time that will greatly shorten the life of, or greatly alter the dog’s quality of life and this is documented by a signed and notarized report from a licensed Doctor of Veterinary Medicine, JoaLins will take the following actions. If the Buyer elects to keep the puppy, JoaLins will reimburse Buyer the veterinary costs necessary to treat the genetic disease, up to a lifetime maximum of $750. If the puppy is returned to JoaLins by the Buyer, JoaLins will replace the puppy with a puppy from an agreed upon JoaLins’ litter with an availability. This will be done at no additional charge for the replacement puppy. Any expense for the puppy's safe transportation back to JoaLins will be the Buyer’s responsibility. This two-year warranty does not cover any condition caused by or contracted while in the Buyer’s possession and only applies to the Buyer named within the Health Care Agreement and is not transferable to a subsequent owner. JoaLins reserves the right to obtain a second opinion at JoaLins’ expense.